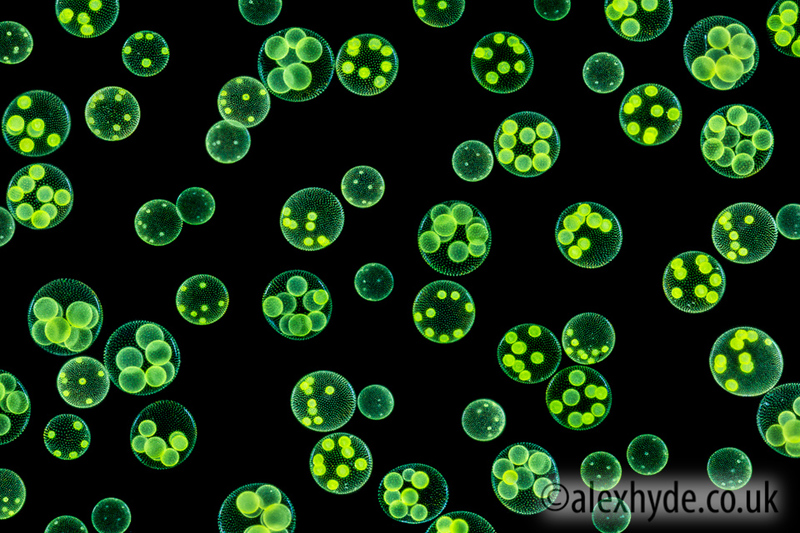 Volvox aureus, a Chlorophyte or green alga, in pond water. UK. The larger spheres are approximately 0.5mm in diameter. Digital composite image.